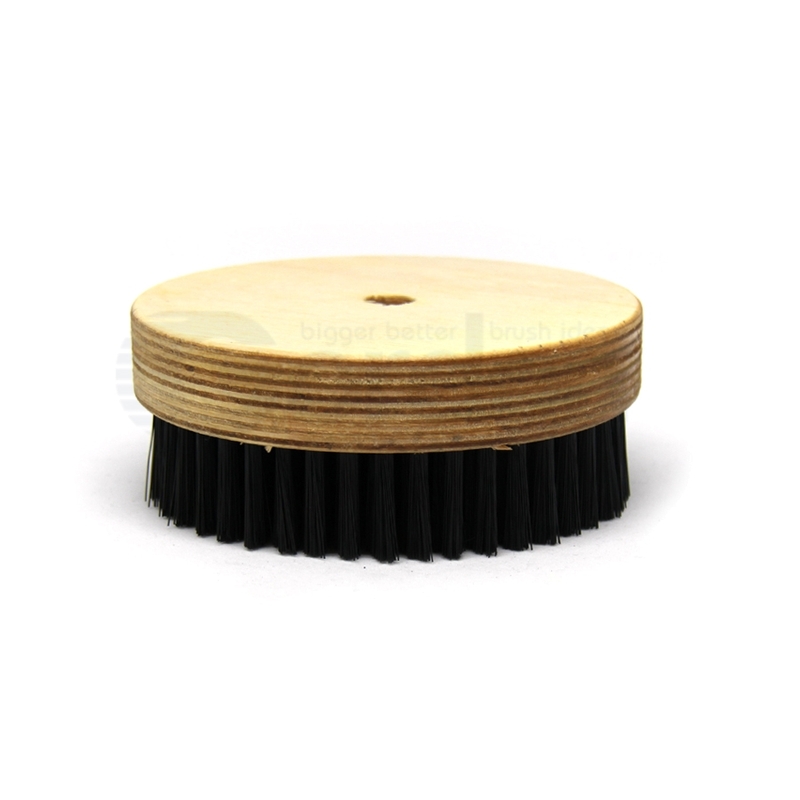 A round brush that can be used with scrubbing machines or flexible shafts. 5" diameter, 1" thick plywood block, and a standard 1/2" recessed arbor hole. Also used extensively for cleaning printed circuit boards.